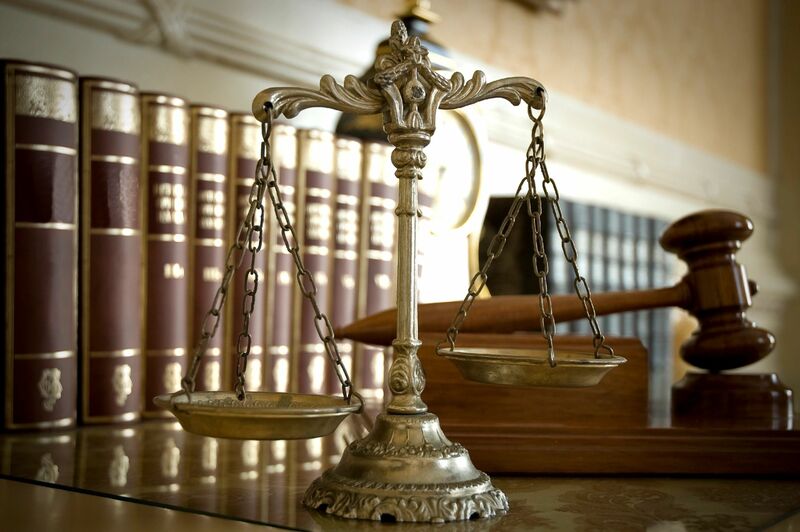 Disclosures Required - John L. McClain and Associates, Attorneys at Law. DISCLOSURES REQUIRED UNDER THE BANKRUPTCY REFORM ACT MANDATED BY 11 U.S.C.§342(B)(1) AND 527(A). Chapter 7 is designed for debtors in financial difficulty who do not have the ability to pay their existing debts. Under chapter 7 a trustee takes possession of all your property. You may claim certain of your property as exempt under governing law. The trustee then liquidates the property and uses the proceeds to pay your creditors according to priorities of the Bankruptcy Code. The purpose of filing a chapter 7 case is to obtain a discharge of your existing debts. If, however, you are found to have committed certain kinds of improper conduct described in the Bankruptcy Code, your discharge may be denied by the court, and the purpose for which you filed the bankruptcy petition will be defeated. Even if you receive a discharge, there are some debts that are not discharged under the law. Therefore, you may still be responsible for such debts as certain taxes and student loans, alimony and support payments, criminal restitution, and debts for death or personal injury caused by driving while intoxicated from alcohol or drugs. Under certain circumstances you may keep property that you have purchased subject to valid security interest. Your attorney can explain the options that are available to you. Chapter 13 is designed for individuals with regular income who are temporarily unable to pay their debts but would like to pay them in installments over a period of time. You are only eligible for chapter 13 if your debts do not exceed certain dollar amounts set forth in the Bankruptcy Code. Under chapter 13 you must file a plan with the court to repay your creditors all or part of the money that you owe them, using your future earnings. Usually, the period allowed by the court to repay your debts is three years, but no more than five years. Your plan must be approved by the court before it can take effect. Under chapter 13, unlike chapter 7, you may keep all your property, both exempt and non-exempt, as long as you continue to make payments under the plan. After completion of payments under your plan, your debts are discharged except alimony and support payments, student loans, certain debts including criminal fines and restitution and debts for death or personal injury caused by driving while intoxicated from alcohol or drugs, and long term secured obligations. Chapter 12 designed to permit family farmers to repay their debts over a period of time from future earnings and is in many ways similar to chapter 13. The eligibility requirements are restrictive, limiting its use to those whose income arises primarily from a family - owned farm. If you're not disciplined enough to create a workable budget and stick to it, can't work out a repayment plan with your creditors, can't keep track of mounting bills, or need more help with your debts than can be achieved by merely having a few of your unsecured creditors lower your interest rates somewhat, it makes NO sense to consider contacting a credit counseling organization. If, on the other hand, you meet all of those criteria, there are many non-profit credit counseling organizations are nonprofit that will work with you to solve your financial problems. But just because an organization says it is "nonprofit," there's no guarantee that its services are free, affordable, or even legitimate. In fact, some credit counseling organizations charge high fees, which may be hidden, urge consumers to make "voluntary" contributions that can cause more debt, urge consumers to enter "debt repayment plans" they simply cannot afford. Most credit counselors offer services through local offices, the Internet, or on the telephone. If possible, it probably best to find an organization that offers in-person counseling. Many universities, military bases, credit unions, housing authorities, and branches of the U.S. Cooperative Extension Service operate nonprofit credit counseling programs. Your financial institution, local consumer protection agency, and friends and family also may be good sources of information and referrals. Reputable credit counseling organizations can advise you on managing your money and debts, help you develop a budget, and offer free educational materials and workshops. Their counselors are certified and trained in the areas of consumer credit, money and debt management, and budgeting. Legitimate counselors will discuss your entire financial situation with you, and help you develop a personalized plan to solve your money problems. An initial counseling session typically lasts an hour, with an offer of follow-up sessions. If your financial problems stem from too much debt or your inability to repay your debts, a credit counseling agency may recommend that you enroll in what is known as a "debt management plan" or "DMP". A DMP alone is not credit counseling, and DMPs are not for everyone. You should sign up for one of these plans only after a certified credit counselor has spent time thoroughly reviewing your financial situation, has offered you customized advice on managing your money, and has analyzed your budget to make sure that the proposed DMP is one you can afford. However, remember that all organizations that promote DMP's fund themselves in part through kickbacks from the creditors involved, which are called "fair share", so you have to be wary as to whose best interest the counselor has in mind. Even if a DMP is not appropriate for you, a reputable credit counseling organization still can help you create a budget and teach you money management skills. In a DMP, you deposit money each month with the credit counseling organization, which uses your deposits to pay your unsecured debts, like your credit card bills and medical bills, according to a payment schedule the counselor develops with your creditors. Your creditors may agree to lower your interest rates or waive certain fees, but it's always best to check with all your creditors, just to make sure they offer the concessions that a credit counseling organization is promising you. A successful DMP requires you to make regular, timely payments, and could take 48 months or more to complete. Ask the credit counselor to estimate how long it will take for you to complete the plan. You may have to agree not to apply for — or use — any additional credit while you're participating in the plan, and a DMP is absolutely useless if your problems stem from or involve your secured creditors holding your car, truck or home as collateral. DMP's are also useless if your problems stem from alimony, child support or overdue taxes. The bottom line is this: If all you need is a little lowering of your interest rates on some unsecured debts, a DMP might be the answer. However, if what you really need is to reduce the amount of your debt, bankruptcy may be the only solution. Before your case can be filed, it is subject to what is called "Means Testing". The Means Test was designed to determine whether or not you qualify to file a case under chapter 7 of the Bankruptcy Code, and if not, how much you need to pay your unsecured creditors in a chapter 13 case. For purposes of means test, you must state, after reasonable inquiry, your total current monthly income, the amount of all expenses as specified and allowed pursuant to section 707(b)(2) of the Bankruptcy Code, and if the plan is to file you in a Chapter 13 case, you must state, again after reasonable inquiry, your disposable income, as that term is defined. All information that you are required to provide with the filing of your case and thereafter, while your case is pending, must be complete, accurate and truthful. All your assets and all your liabilities must be completely and accurately disclosed in the documents filed to commence your case. Some places in the bankruptcy code require you to determine and list the replacement value of an asset such as a car, or furniture. When replacement value is required, it means the replacement value, established after reasonable inquiry, as of the date of the filing of your bankruptcy case, without deduction for costs of sale or marketing. With respect to property acquired for personal, family or household purposes, replacement value means the price a retail merchant would charge for "used" property of that kind considering the age and condition of the property. Information that you provide during your case may be audited pursuant to the provisions of the Bankruptcy Code. Your failure to provide complete, accurate and truthful information may result in the dismissal of your case or other sanctions, including criminal sanctions. REQUIRED DISCLOSURES UNDER THE BANKRUPTCY REFORM ACT MANDATED BY 11 U.S.C.§527(B). There is no fee for the completion of the forms and discussion of your financial situation. In the event that Client wishes to hire Attorney for any purpose other than a Limited 20 Minute Free Initial Consultation then a separate agreement must be executed by all parties. Analyze the client’s financial circumstances based on information provided by the Client. To the extent possible, based on the information provided by the Client, advise the Client of the Client's bankruptcy options and non-bankruptcy options. Advise the Client of the requirements placed upon the Client to file a chapter 7 or 13 bankruptcy. To the extent possible, quote the Client an estimated fee for the Law Firm's services to provide bankruptcy assistance or other legal services to the Client. There is no obligation on the part of the client to tender any fees for the initial consultation. John L. McClain and Associates, P.C., is proud to be designated as a Federal Debt Relief Agency by an Act of Congress and the President of the United States and is able to assist consumers seeking relief under the U.S. Bankruptcy Code. Member National Association of Consumer Bankruptcy Attorneys (NACBA).